Patna : Kamla Devi, Pankaj Kumar, Geeta Devi and Sanjay Singh, all Hindus, share one thing in common. Their lives have been transformed through “interest-free” loans provided by a Muslim cooperative credit society in Bihar, yet another example how integrated Indian society has always been at the grassroot level. 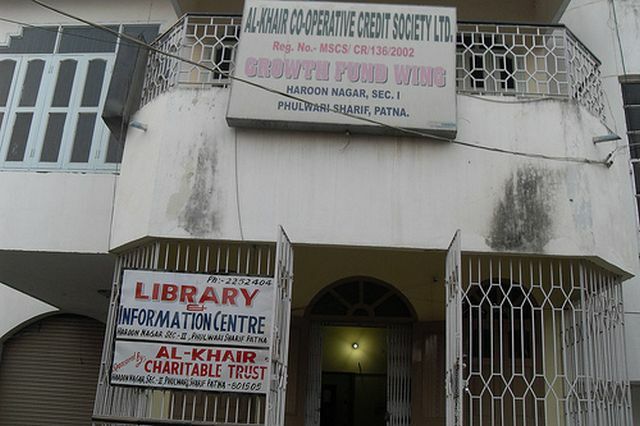 They are four of nearly 9,000 Hindus — mostly vendors, small traders, roadside shopkeepers, marginal farmers and women — who got rid of exploitative moneylenders thanks to interest-free loans by the Al-Khair Cooperative Credit Society Ltd that is based here. “I used to sell potatoes and onions in a small roadside shop. I was often exploited by moneylenders for a small amount of Rs 2,000 to Rs 5,000 that I needed for my business. But a few years ago, I was surprised when someone informed me of interest-free loans from Al-Khair Society,” Kamla, in her mid 40s, told IANS at her shop in Mirshikar Toli here. “It helped me expand my business from a vendor to a wholesale trader,” she said. “Our life has changed after I came into contact with Al Khair Society. It helped us live a life of dignity. For poor people like us, interest-free loans are God’s gift and, unlike in regular banks, there are no uncertainties about getting the loan,” she said. “I also deposit my daily earnings with Al-Khair Society and repay the loan amount without paying any interest,” Kamla said. “Banks charge interest and there is a lot of paper work involved that only discourages and frustrates the poor,” said Sanjay, who used to sell garments on a bicycle. He now owns a small garment shop run by his wife even as he continues to sell clothes on his bicycle. What attracts people, many of whom are not literate, to Al Khair Society’s door is that it involves minimal paper work and a poor-friendly perspective. “Interest-free loans may be a concept associated with Muslims as Islam prohibits interest as it terms it unjust, but it has a universal appeal and can benefit all, not just Muslims,” said Shamim Rizvi, a retired bank officer closely associated with Al Khair Society for nearly a decade. “Even a small amount of five to ten thousand is significant for people who don’t have access to banks. Nearly 50 percent of the beneficiaries of interest free loans are Hindus. Most of them use the money for earning livelihoods that empower them,” Fatmi said. “We are planning to open new branches in Kishanganj in Bihar and Ranchi in Jharkhand to reach out to more such people,” Fatmi said. Started by a group of educated Muslims in early 2000 as a small step to help ordinary people, the organisation has seen a tremendous response from all sections of society, irrespective of religion, caste or creed. Please give a chance to peace and dialogue!